Tusco Long Riders are a SASS affiliated club. Our goal is to promote and perserve the spirit of the old west and Cowboy Action Shooting. We are a proud affiliated club of the Single Action Shooting Society. 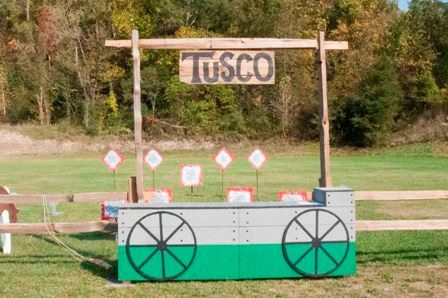 We shoot at the Tusco Rifle Club by Midvale, Ohio. Cowboy shoots are the 1st Saturday of every month year-round (other than December). Come out and join us, second to Safety it's all about having fun. 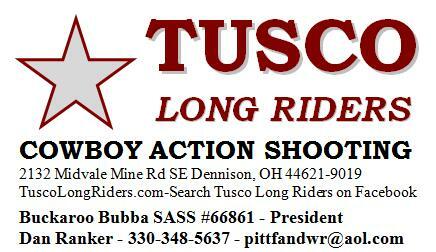 Check out what's happening with the Tusco Long Riders here or on their FaceBook page!